The Sport Center Ambasciatori face the wonderful Tuscan country around Chianciano Terme. In a quiet and private place, our facilities will let you practice sport or simply have a drink and relax in the terrace of the Bar, being long just a few minutes from the center of Chianciano Terme and at the same time surrounded by the beatiful Tuscan country. 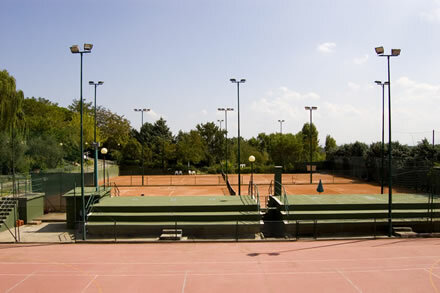 We have two Tennis courts on clay, basket, soccer and volley court, and Mountain Bikes for rent. For who wish to have private tennis lessons, our FIT Coach is always available. Our facilities are open for the guests of our Hotels and for external guests.